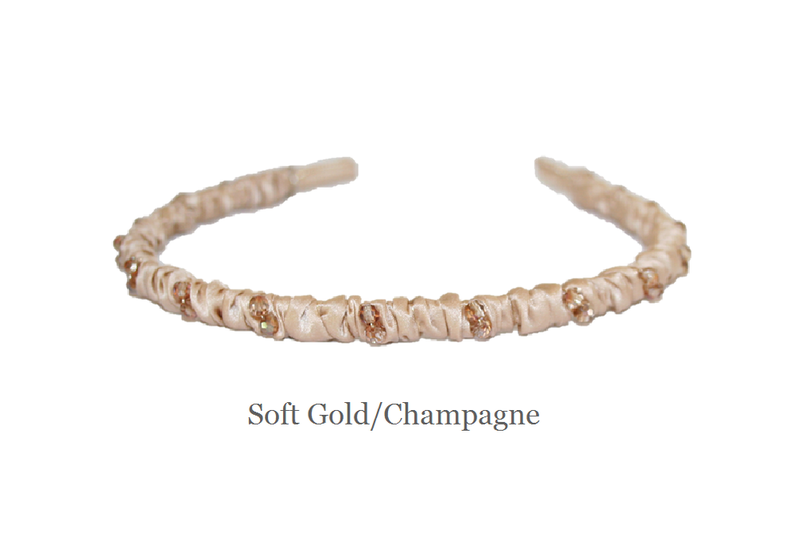 Thin silk covered headband wrapped with sparkling crystals. 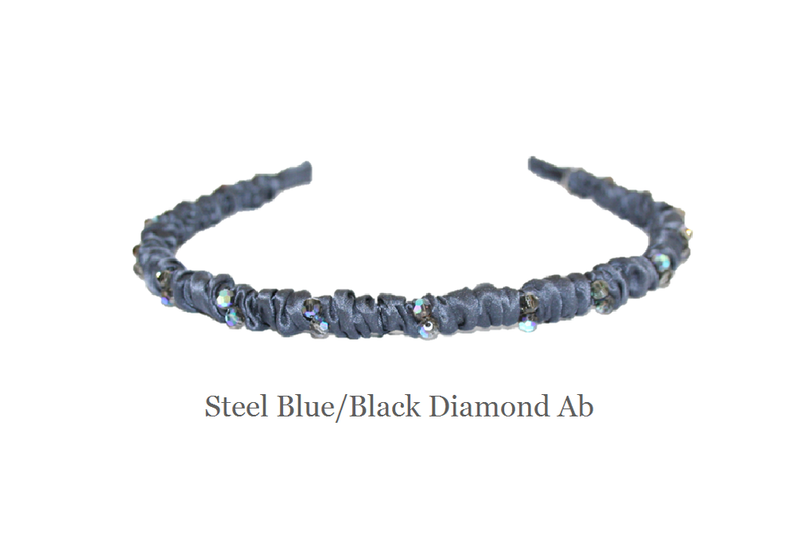 This headband is very comfortable because the silk is gathered on to a flexible headband. 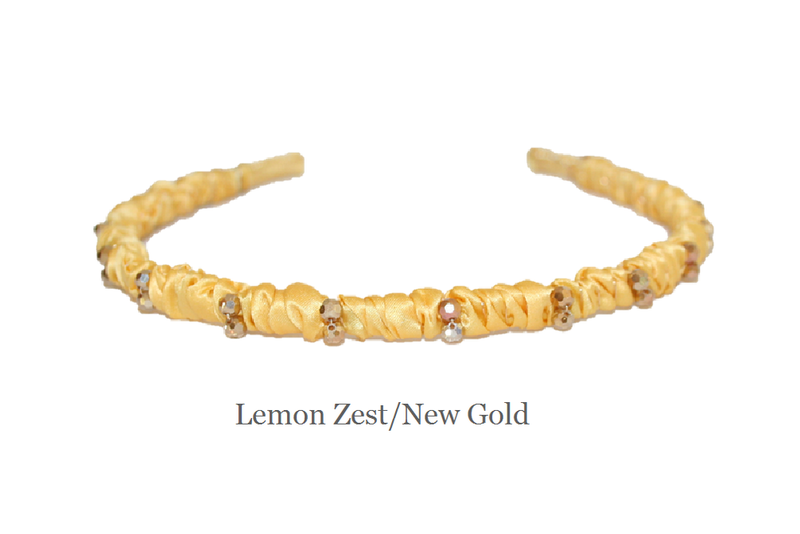 Easy to wear, and has the perfect amount of sparkle for everyday. Shown here in timbercat and other color combinations available.